While walking on rue St Jacques in Montréal last week, I was surprised to see the iconic LOVE Sculpture. It was in the front garden entrance area of LHotel Montréal (formerly L’Hôtel XIXe Siècle). 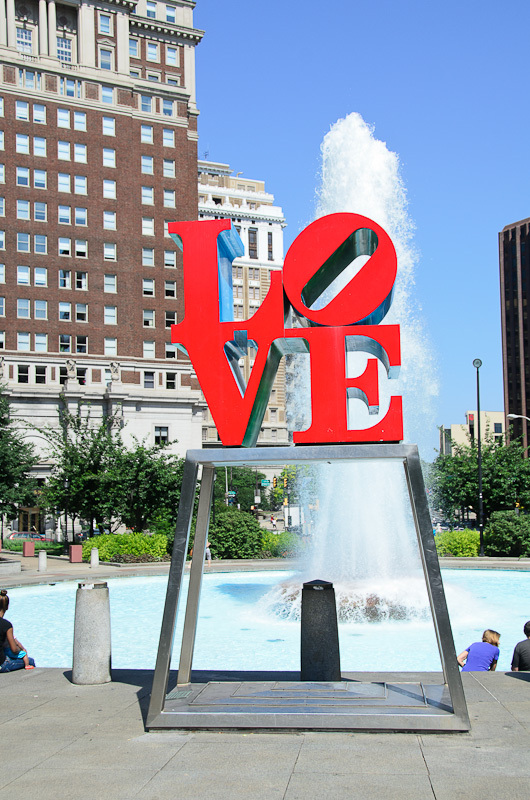 Just last month, I was in Philadelphia’s City Center area and saw the same LOVE Sculpture in John F. Kennedy Plaza just north of City Hall. 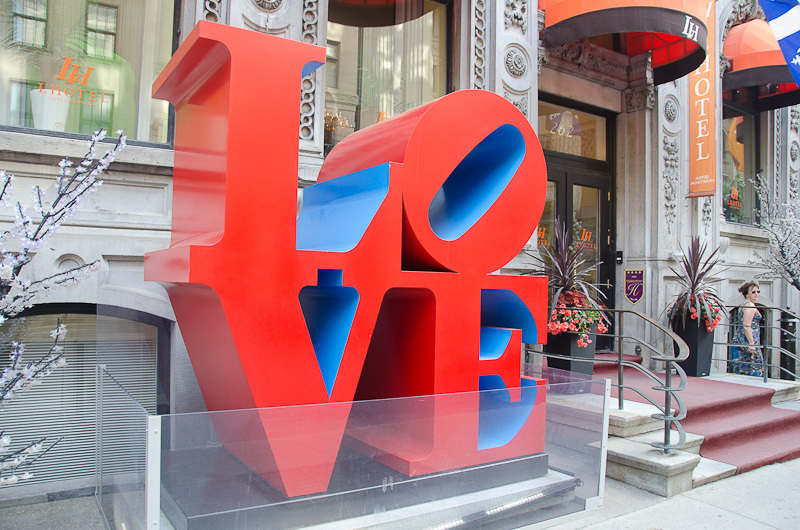 The LOVE Sculpture, designed by Robert Indiana, was originally done for the Indianapolis Museum of Art in 1970. Versions of that design has been installed around the world. The sculpture in Philadelphia was installed in 1976, and the one in Montréal was dated 1970. This one surprised me. Well, the one in front of LHotel Montréal was installed in 2010. The new owner of the hotel has a marvelous art collection and the LOVE Sculpture was one of the many pieces of pop art installed for public viewing. See the article from Maclean’s: Guess who’s shaking up Montréal ? June, 2010.